(Natural News) We may finally be on the verge of a true alternative to costly lithium-ion batteries that rely on rare earth metals. Australian researchers recently debuted the first working example of a carbon-based rechargeable proton battery, according to an article on ScienceDaily. According to the RMIT University (RMIT) research team, their proton battery works in tandem with a reversible fuel cell. The prototype uses a carbon electrode to store hydrogen fuel for the fuel cell. “It’s the carbon electrode plus protons from water that give the proton battery it’s environmental, energy and potential economic edge,” explains John Andrews, the RMIT professor who led this research group. The prototype proton battery is much more environmentally friendly because it uses carbon instead of rare earths. It also promises superior energy storage capacity than the most capable lithium-ion equivalents. The RMIT team predicts that the current global trend towards renewable energy will result in a staggering demand for electrical energy storage. One example is Tesla’s Power Wall power storage product, which uses lithium-ion batteries to store a day’s worth of power for a four-bedroom house. The researchers believe their proton battery can help meet such a vast need. According to them, proton batteries are much more economical because they use abundant and inexpensive carbon as their primary material. In contrast, the materials used to make lithium-ion batteries are expensive and scarce. Potential applications for proton batteries include usage on electric vehicles, household-level storage of electricity from solar photovoltaic panels, and medium-scale storage on electricity grids. The Australian Defence Science and Technology Group and the U.S. Office of Naval Research Global provided some of the funding for the ongoing RMIT study. The RMIT prototype combines the best of two worlds: Battery-based electrical power and fuel cell technology. The latest version uses a reversible fuel cell to create hydrogen that is stored inside a carbon electrode. In the charging process, the fuel cell splits water to create protons without also generating hydrogen gas. The protons pass through the cell membrane and bond with the storage material in the carbon electrode using electrons generated during the process. When it’s time to release energy, the electrode surrenders its hoarded hydrogen, but not before stripping an electron from them in order to turn them into protons once more. The protons go through the fuel cell membrane and combine with oxygen drawn from the air to become water once more. The hybrid nature makes the proton battery more efficient than standalone hydrogen fuel cell systems. A normal fuel cell would inadvertently create hydrogen gas during power generation, but that waste product is eliminated here. This is the latest version from the RMIT team’s labs. The very first proton battery was created years ago and used a metal alloy electrode. However, the researchers discontinued that version due to poor performance, especially since it also used costly rare earth elements. Instead, their newest electrode is a porous type of activated-carbon. 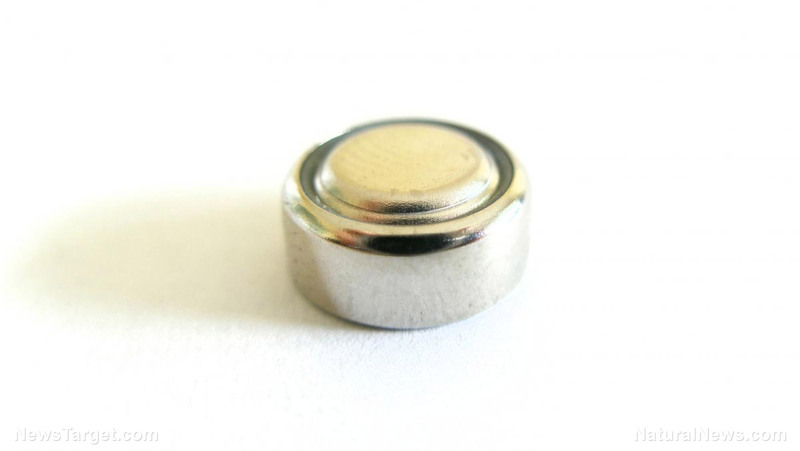 Derived from phenolic resin, the electrode can store around 1 wt (weight) percent hydrogen, an energy per unit mass ratio that matches commercial lithium-ion batteries. “Future work will now focus on further improving performance and energy density through use of atomically-thin layered carbon-based materials such as graphene, with the target of a proton battery that is truly competitive with lithium ion batteries firmly in sight,” Andrews promised. Visit FutureScienceNews.com for more articles on batteries and renewable energy. Next : Is the Grand Canyon being put in danger by nearby uranium mining?